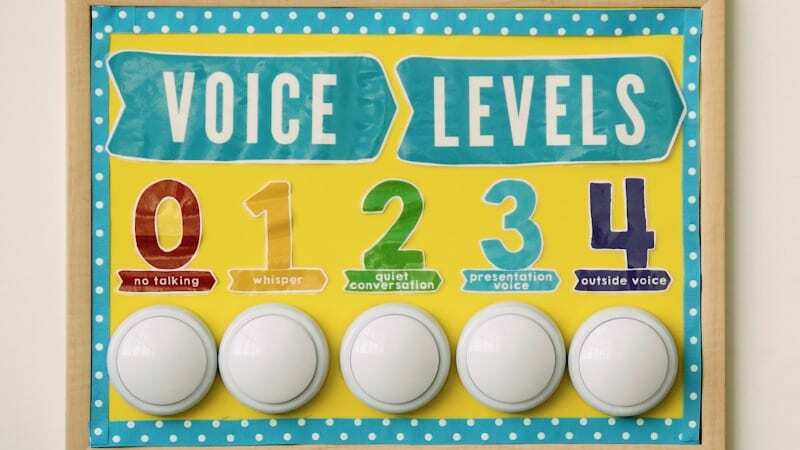 This will make your life easier and your classroom quieter! 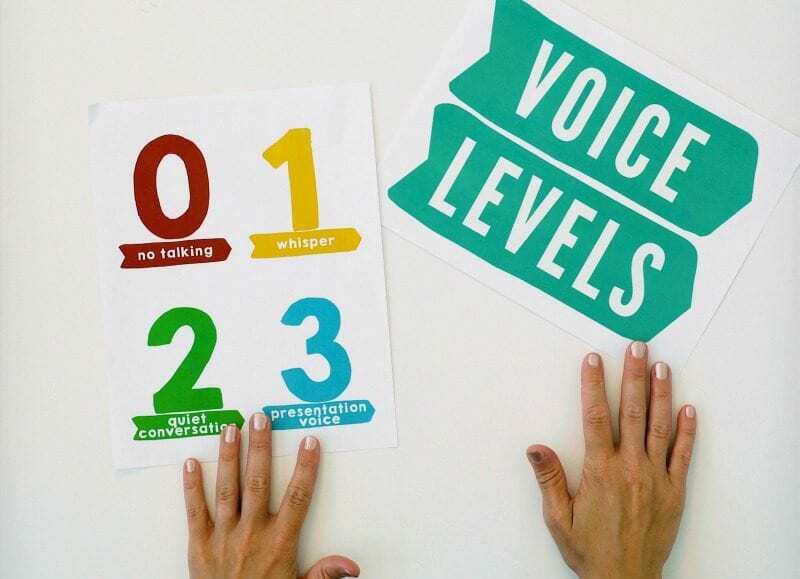 You likely talk to your students regularly about their voice levels and how to choose the right one based on different classroom activities. 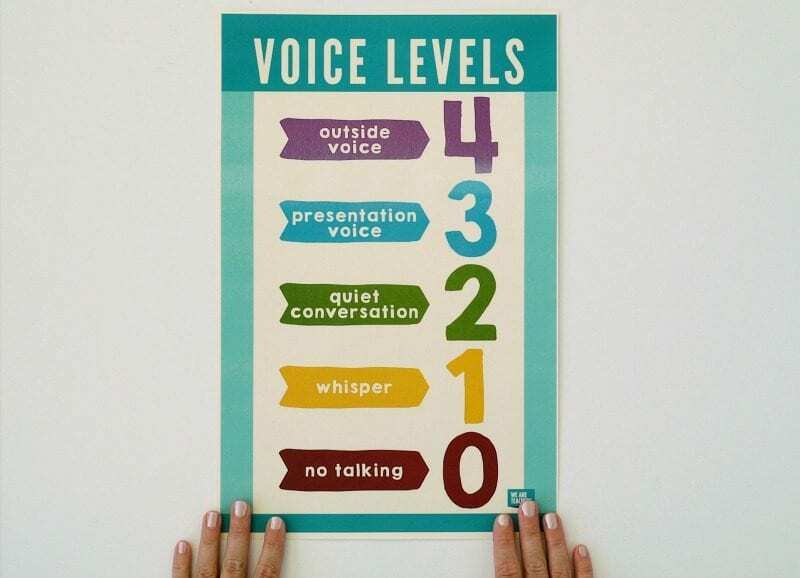 That’s why we created this voice levels poster that you can save and print for free. Just submit your email here to receive your free poster. Here are the lights we bought for this project.